Lidia Groblicka died suddenly at the beginning of 2012. A major retrospective exhibition, Lidia Groblicka: Black + White, was held at the Art Gallery of South Australia from July-December 2012. The first edition of the book I produced at the end of 2010 almost sold out during the exhibition, so I was prompted to make the book available online. I decided to do so as a hardcover edition, including some of the prints in the black and white first edition in colour, and adding several new images of paintings and drawings in colour. 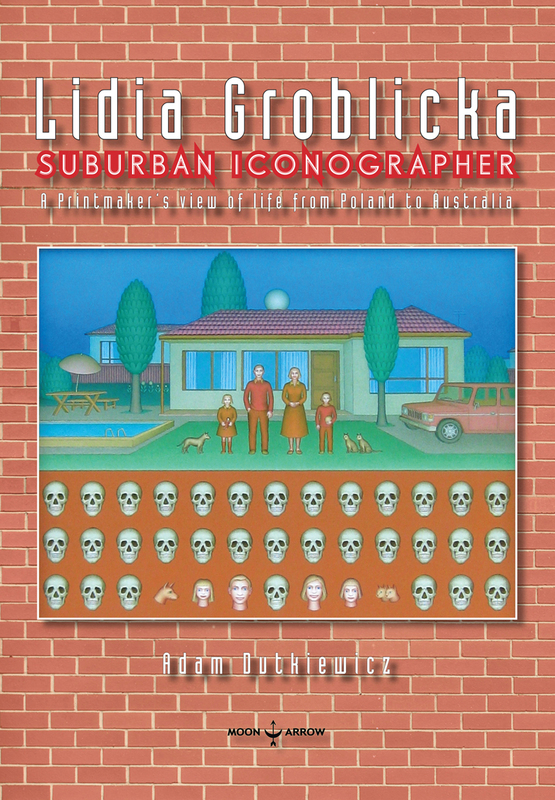 The book is available at the Art Gallery of South Australia bookshop and online at blurb.com. Lidia was born in the eastern Polish town of Zolkiew, near Lwow, in 1933, and grew up in Krzemieniec (both now in Ukraine). The family fled the Soviet annexation of eastern Poland to Nowy Sacz, south of Krakow. As a young adult she studied at the Krakow Academy of Fine Art, from 1951-57, concentrating on the woodcut. She also studied painting and Polish folk art, the latter subject becoming inspirational for much of her later career. A number of the prints in this volume originate from her time in Poland, and they indicate the impact of the war, her attraction to Polish folk art in its various forms, and the preferred style of Social Realism under Soviet-occupied Poland after the War. Other images were produced when Lidia lived in London, from late 1957 until 1965, where she became re-acquainted with and married Tadeusz Groblicki. as a young mother and a Polish migrant with little English, she felt challenged and alienated. Her work began to change, partly out of homesickness and nostalgia. It became imbued with connections to the rich visual world of folk art in Poland, as she sought a more personal style. The family decided to migrate to Australia in 1965, and settled in Adelaide, where she consolidated her woodcut technique. Her art evolved further, incorporating more detail and pattern. She had a celebrated and successful career as a relief printmaker and, during the 1970s, as a painter. This entry was posted in Australian art, Modernism, Moon Arrow Press. Bookmark the permalink.